Here's the good news: unless you hated Birdman, nothing particularly bad happened at this year's Oscars. Now, here's the bad news: unless you were Birdman, nothing particularly good happened, either. The 2015 Academy Awards was one of the most boring ceremonies in years, with predictable winners, forgettable skits, and speeches that went on forever. 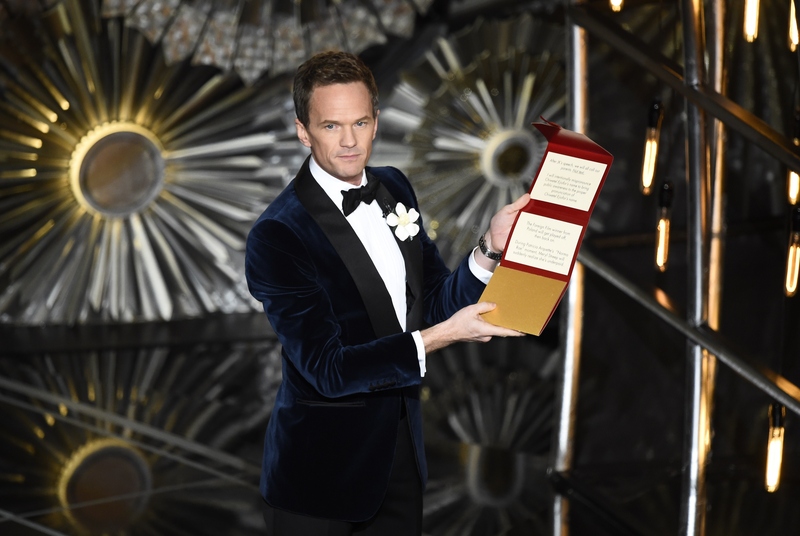 Not even a surprise appearance by Julie Andrews could save the night from being utterly snooze-worthy, and surprisingly, neither could a hosting gig by the King of All Awards Shows, Neil Patrick Harris. The comedian's job as host received lackluster reviews — and according to a tweet he posted Monday night, it seems Harris is very much aware of the negative reactions to his Oscar gig. "Tonight we honor Hollywood's best and whitest — sorry, brightest." Yes, it was controversial, and rightfully so, but there's no denying it got one of the biggest laughs of the night. "Moving Pictures," an insanely complex song-and-dance number featuring witty lyrics, movie shout-outs, and celebrity cameos, was the high point of the entire night. It reminded audiences just how good an entertainer Harris is, and why he was chosen as host in the first place. The rest of the show wasn't nearly as enjoyable, but with an opener like that, how could it be? Was it self-indulgent and silly? Sure. Did I mind seeing Neil Patrick Harris stand on stage in his underwear? Not at all. The recurring joke about having Octavia Spencer watch a box filled with predictions the whole night fell flat, but at the beginning, it had so much potential! Theories about what the punchline of the joke would be — the box would have disappeared? Gwyneth Paltrow's head would be in it? — ran rampant, and for a brief, wonderful moment, it seemed that the lamest joke of the night could actually turn out to be the funniest.